New Hampshire has an abundance of lakes and ocean coastline, which makes a fun playground for many people who own boats. The largest lake in New Hampshire, Lake Winnipesaukee, is home to thousands of visitors each year, and has been a top boating destination for decades. New Hampshire boating is a widely popular leisure activity, and the state requires operators to be 16 and older and to have a boating education certificate for motorboats of 25 horsepower and higher. Those without proper boating education can put themselves and others at risk. When a person is involved in a boating accident, police or marine authorities will determine who is at fault. There are many boating accidents that can result in serious injuries to the operator of the boat, as well as the passengers of the boat. Property damage, injury expenses, lost time at work, pain and suffering, and other compensation are important things to have an experienced attorney evaluate for you. Sometimes a boating accident can cause death. If a person was boating under the influence of alcohol, New Hampshire has strict laws against such activity and the person will be arrested. Boating injuries in NH are not limited to collisions. Capsized vessels, defective equipment, and slippery surfaces can lead to boating injuries as well. As personal injury lawyers, Tenn And Tenn, PA can help persons injured in NH boating accidents. The maximum legally-allowed blood alcohol content (BAC) for a NH boat operator is 0.08 percent. If a boating operator’s BAC is higher than .08 percent, they may be charged with Boating Under the Influence, or “BUI”. There are many severe consequences of boating under the influence in New Hampshire. Outcomes include the possibility of causing serious injury or death to another person – or seriously hurting yourself or a member of your family. A convicted BUI offender in New Hampshire could be penalized with fines, community service and/or a jail sentence. Boating in New Hampshire is governed by the Fish and Game Department. Boating education certificates are administered by the Department of Public Safety. To legally operate a motorboat in New Hampshire, operators must complete a classroom training course and pass a proctored exam if they do not already have a NH boating education certificate or a certificate from another state. If you or someone you know has been injured on New Hampshire waterways due to the negligence or carelessness of a boat operator, it is important to contact a personal injury attorney. This will ensure you will receive a fair chance to seek justice as well as compensation for the injuries. 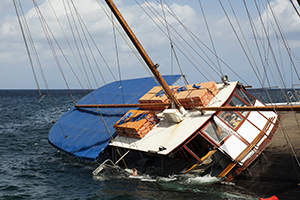 There are some instances when a boat accident attorney can help a person who was the -driver in this type of situation. Our attorneys are experienced in -New Hampshire boating laws and are able to guide you in the legal process. Call us today at 603-624-3700. At Tenn and Tenn, PA initial consultations are at no cost to you. Call our toll-free boating accident hotline at -1-888-511-1010 to schedule your free and confidential consultation.